Now most of the Xiaomi Phones come with the locked bootloader and to unlock the Bootloader of these phone like Redmi Note 3, MI MAX, etc. you need an official permission. A few days back we posted a tutorial to unlock the bootloader of Xiaomi devices. But most of the user are facing some problems like Unlock BootLoader Couldn’t Verify Device Error or unlocking process that is stuck at 50%. The mains reason of this problem is that your Mi Account login is not activated on your Phone. Or your Phone’s MI Account Login is different from the MI Account that you are using in the Mi Unlock tool. 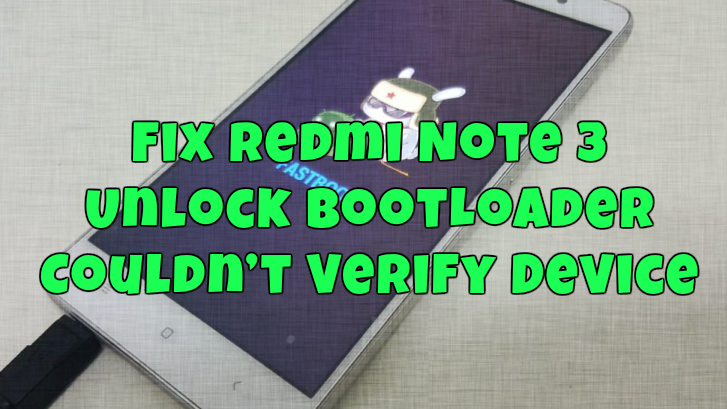 We also faced this problem on our Redmi Note 3, but after few attempts, we fix the Unlock BootLoader Couldn’t Verify Device Error and successfully Unlock the Bootloader of Redmi Note 3. 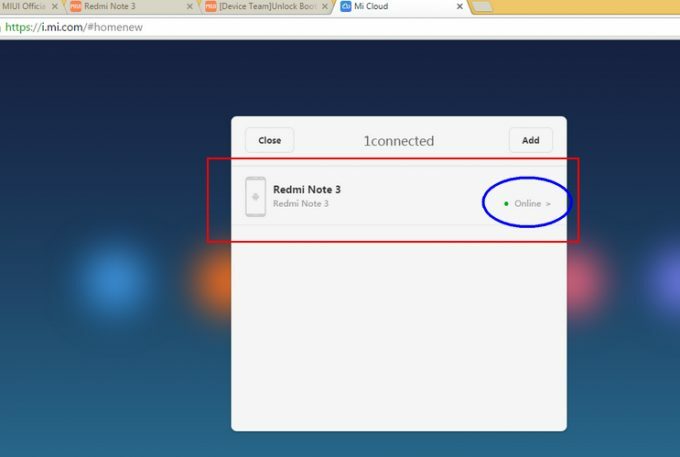 Here in this tutorial, we’ll show you how to unlock the Redmi Note 3 bootloader without getting the Couldn’t Verify Device Error. This method will work on all Xiaomi phone which comes with the locked bootloader. The workaround is mainly comfortable and not too techy. But before starting that read all the instruction very carefully and do take the backup of your Xiaomi Phone. 1. Apply for bootloader unlocking permission from this page. 2. Download and install Mi Flash Unlock tool into your computer. 3. Xiaomi Phone runs on any MIUI Version – Like Global, Chinese, Developers, Beta etc. NOTE: Once you received the unlocking Confirmation message on your phone. Wait for 5 to 7 days before starting the Unlock Process. Because after the approval, the process will take some time. Step 1. Open the MI Account application on your phone and Login with the Phone number that you used to get the unlocking Permission of your phone. Step 2. Now go to your PC and open the https://i.mi.com/ and sign in using the same Mi Account (use your mobile phone number). Step 3. Once you logged in, you’ll be able to see a list of connected devices. If you will see some of your Old Xiaomi phone in the list. Delete them all and make sure your current phone is online. If not then, locate your phone from the Find My Device option of Mi Web Account. Step 4. Now leave that for a day. Step 5. Grab your phone and Enable Developer Options, Go to Settings > About Phone > Now tap on “MIUI version” for about 7-10 times continuously until a message saying “You have enabled Developer Options” is displayed. Now Go Back Settings > Additional Settings > Developer Options > Enable OEM Unlock and USB Debugging. Step 6. After this Turn your phone and then reboot it into Fastboot mode by pressing Volume Down (-) and Power buttons simultaneously until you see Mi Bunny Fastboot logo. Step 7. 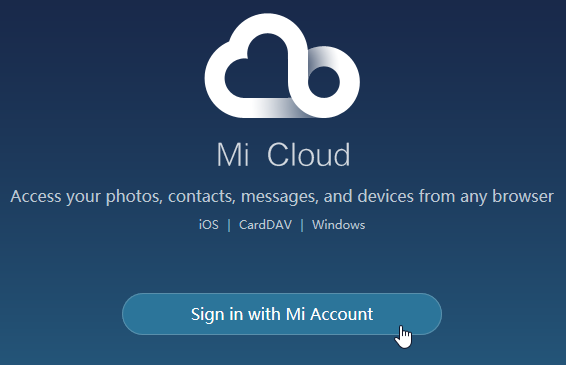 Now open the MI unlock tool in your PC and login into your Mi account with Phone Number and try to unlock now. Step 8. Finally, hit the “Unlock” button. Voila! Your Xiaomi phone’s bootloader should be unlocked successfully. Step 2. After the flashing process is completed, Unplug your phone from PC and Reboot. Step 4. Once you are in the Fastboot mode, Run the Unlock Tool and Login with your Mi Account Phone number and start the Unlocking Process. And this time, it will unlock the Phone. This method works for use after trying lots of methods. If you do have queries regarding this comment here and we will surely help you to unlock your device with ease. Followed the procedure using both (ie logging in using email/phone number). it keeps giving the same error message. Any help would be greatly appreciated. Thanks. I got the unlock permission from miui site. But when I try to add my account and device in the mi unlock status, it says “couldn’t verify, wait a min or two and try again”. I’ve waited and tried it almost 10 times, but it still shows the same message. Please help.